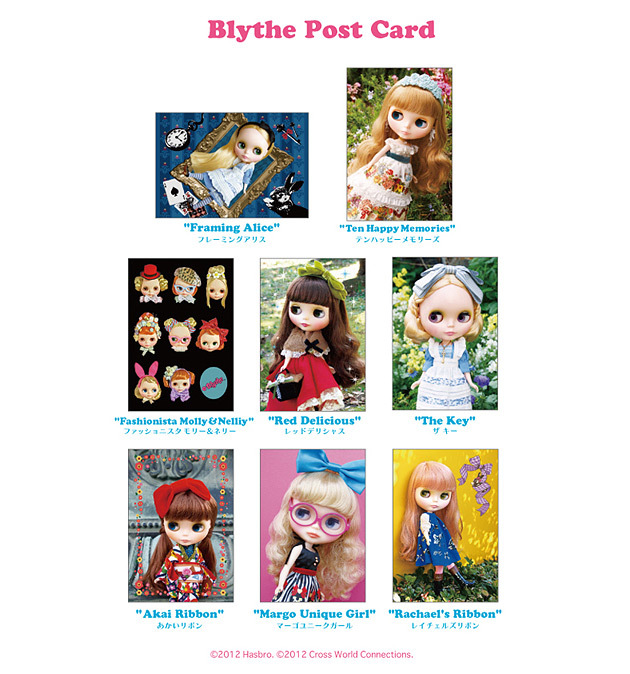 New Blythe Summer Anniversary Goods! have new stickers, schedule books and more! A fresh crop of Blythe stickers with new photos and styling! 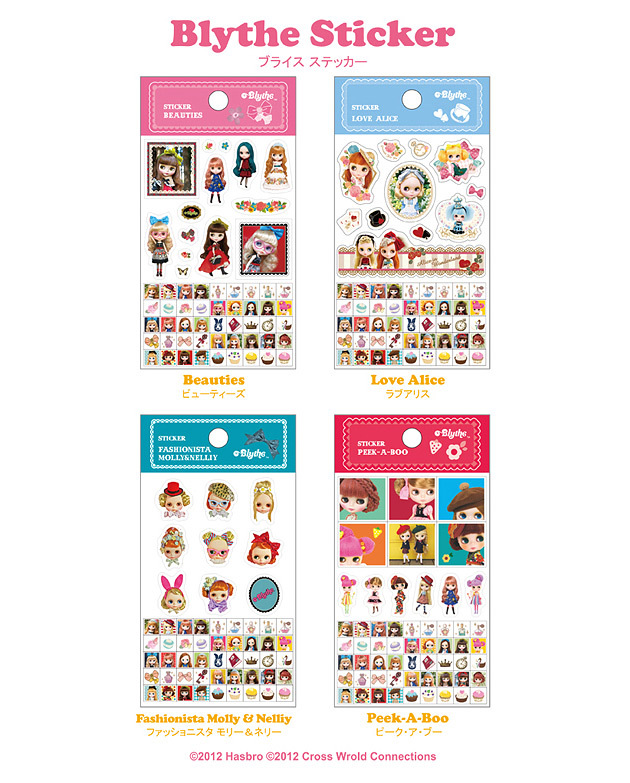 There are many different sizes of stickers on the sheet you can use for many things! The small stickers on the bottom of the sheet are perfect for noting in your schedule book. This is our newest postcard type desktop calendar! You can enjoy Blythe in various fashion style photos through out the year. 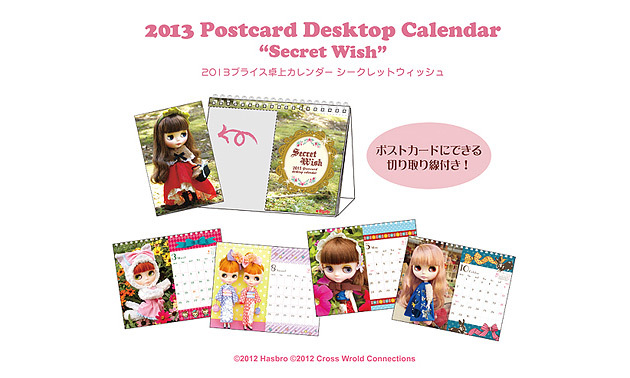 This is a 2-way calendar so you can use it to decorate your desk or send postcard to your friends. Retail price: 1,470 yen (tax included)Size: width 160mm x height 200mm x 70mm (when stand on the base) 12 pages plus cover. * The photo portions are perforated and can be used as postcards. Our newest schedule books has new lower price! There are both monthly and memo pages in easy-to-use format. 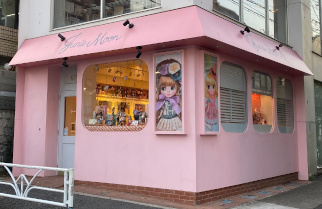 It has small size convenient to carry around. All schedule books come with plastic cover. This is our newest 2013 wall calendar. 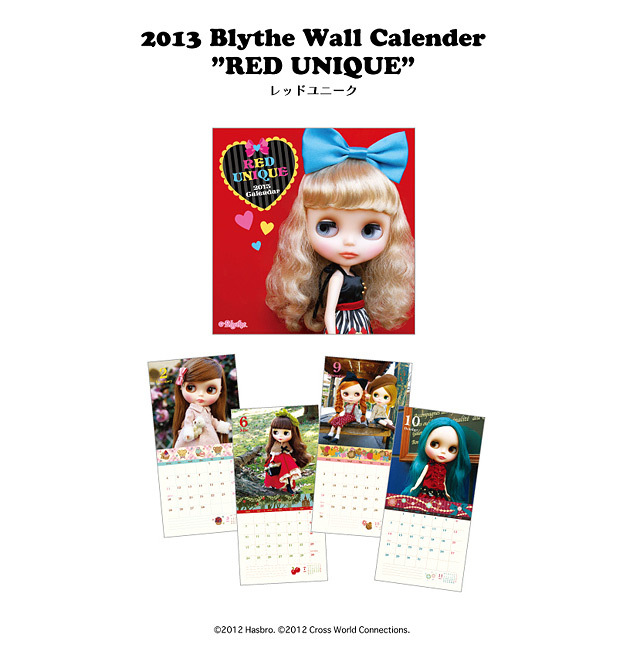 You can decorate your room or office with cute Blythe photos for each month. There are spaces for your schedule and memos too! 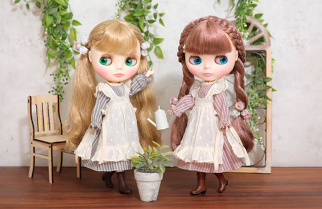 Enjoy the seasons with Blythe! 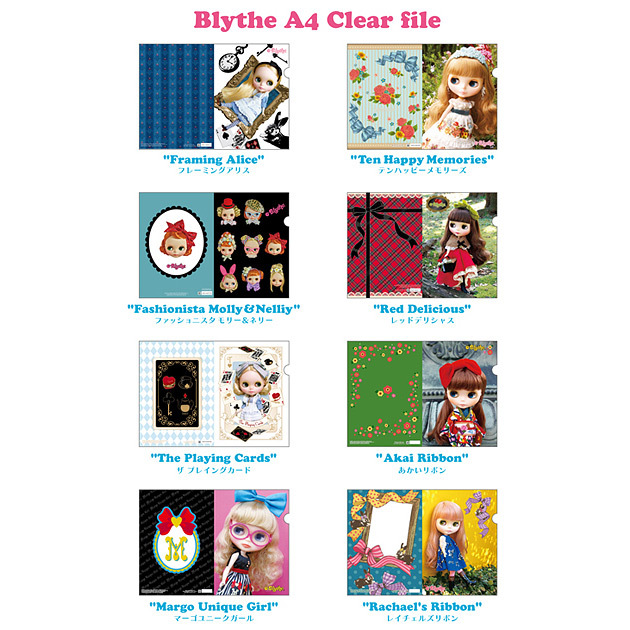 One of our most popular items, the Blythe clear files are back again with a new look! 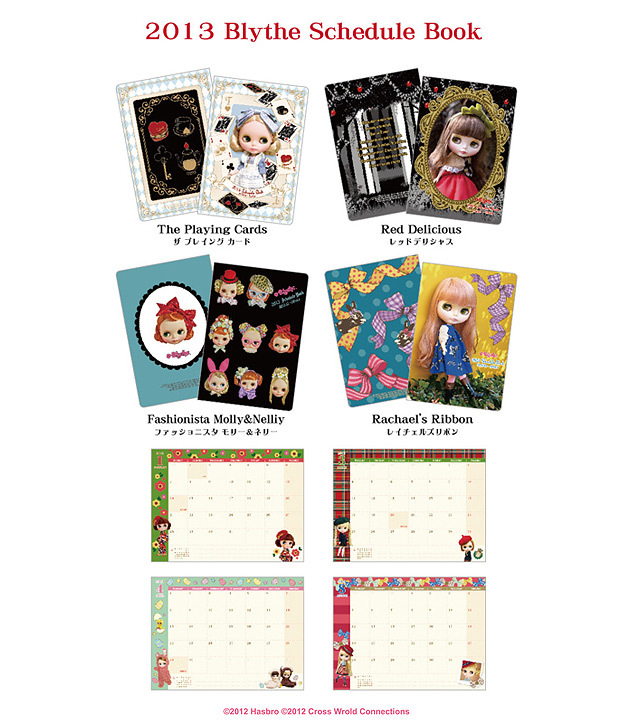 We have Alice designs, Margo Unique Girl and more! We've taken the popular clear file designs and made fun postcards out of them! These postcards will bring a smile to the face of your family and friends! 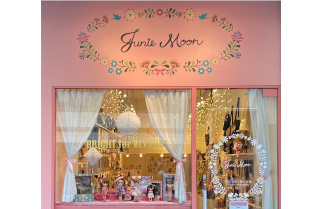 All items above will be available from 22 June 2012 at Daikanyama JunieMoon, Shinjuku Marui One 4F LeLe Junie Moon, Junie Moon Online Shopping Site, Kichijouji Chara Park Blythe Shop By Junie Moon. 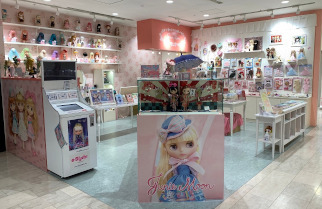 All items will be available at any Blythe shops in Japan from 7 July. Jeffrey Fulvimari’s New Item Release! Each year we release a new Jeffrey Fulvimari calendar, and our 2013 calendar is here! Fill your year with the stylish and sweet artwork of Jeffrey Fulvimari. Full colors in all 12 pages + cover.